Luke Walton is a two-time NBA champ and has played alongside some of the best players in the league. Matt Leinart is a Heisman Trophy winner and former NFC Champ. And together, they’ll destroy your rec league team. The two retired pros were recently spotted playing a game of rec-league hoops together in a Los Angeles area gym. 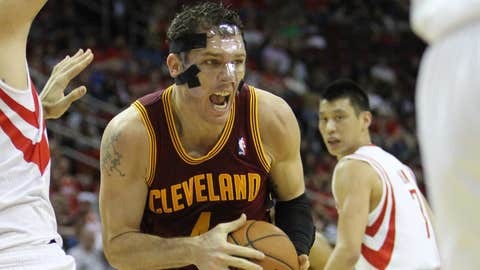 Walton, who most recently played for the Cavaliers and spent nearly ten years with the Lakers, is the guy in the No. 9 jersey abusing his opponents with his three-point shot. Leinart, who sports the No. 7 and bright yellow shorts, wasn’t too shabby either. While the pair dominated for nearly the entire game, they wound up losing thanks to Pablo the super-jock and their team’s shoddy defense.